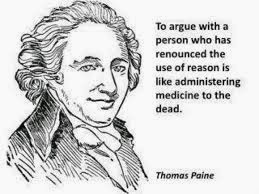 Common Sense by Thomas Paine. Penguin Books (1982). First published in 1776. I read this book at the end of July 2005. It was Paine’s classic The Rights of Man which I had read a few years ago that inspired me to start writing reviews of books. I am not sure that I intended at the time to review every book during future reading but it so happens that since I read the Rights of Man I continued to do so. The total number of books I have reviewed since has reached 45. 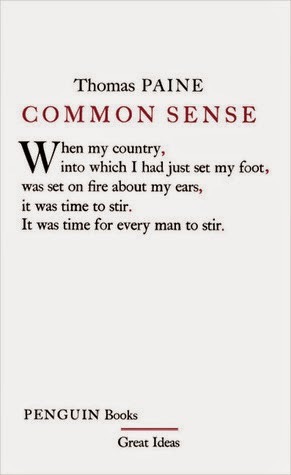 Common Sense is a short polemical work of 64 pages. 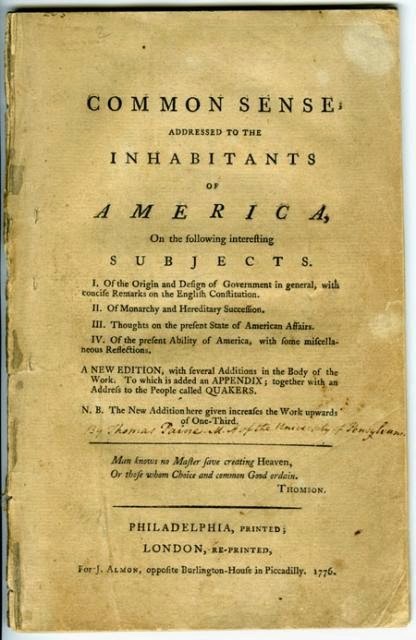 The original text of Common Sense was limited to 36 pages but a later edition added another 28 pages where Paine underlined America’s splendid natural resources which presaged a very great future for the American people. The Penguin edition starts with a 14-page introduction by Isaac Krammick which gives the background of the American Revolution of 1776. 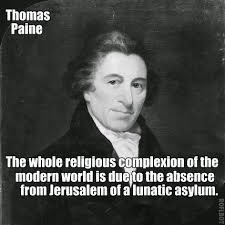 In that year Paine was in America, in Philadelphia. His publication urging the thirteen American states to break with Britain had a profound effect at a time when the majority of the Americans were not in favour of breaking with Britain despite the serious conflict which had already developed with the Mother Country. (Paine maintained that the British claim to motherhood was quite unjust because so many Europeans from other countries had emigrated by this time to America). His publication had an extraordinary impact and became an out and out best seller, reaching 100,000 copies initially. Eventually 500,000 copies were published during the first year, between legitimate and pirated ones. Apparently, King George III had made a speech attacking the American colony which was first reported in America on the day of Paine’s manifesto. In the added pages of his publication he refers to the unfortunate effect the King’s speech had on relations with America. 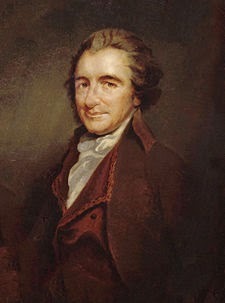 It helped to popularise the extreme sentiments expressed in Paine’s manifesto. According to the editor, Isaac Krammick, Paine’s Common Sense had a catalytic effect on American thought and was the single most important influence leading to the independence of the American nation. After independence many Americans remained loyal to Britain and were opposed to leaving the British Empire. Those who stayed in the States remained a small and rather isolated minority and removed from the thrust of power and patriotism. Others moved to Canada or went back to Britain. The second part of the introduction to the Penguin issue is entitled From Staymaker to Revolutionary: the Life and Career of Tom Paine. It is a 36 page biography of Paine who had just arrived in America at the time of hostilities there. His short essay made a powerful case against all forms of conciliation with the British. Although he had not been much more than a year in America when he wrote his diatribe against the British government and the King, he spoke as if he were an American urging his fellow men to immediate separation. He became a great hero to his hosts and his reputation extended to his later time in France where he was an enthusiastic supporter of the French Revolution. He had visited England a few times, it appeared, during these exciting times and was lucky not to have been imprisoned or lost his head. He urged the Americans to build a navy. He claimed that, compared to England, they possessed such rich natural resources that it would be impossible for Britain to maintain its hegemony in the western Atlantic. The addendum to his pamphlet providing the statistics of the British navy contains details of their number and type of warships but claims that most were out of commission and that the navy was far too overstretched because of Britain’s far-flung dominions. The poor state of the British navy was another of his criticisms of the British King and the British government. It was clear that no ordered system of government existed in America at the time of the Revolution. The influence of the British government had largely waned as the revolutionary forces were gathering strength. There was no local government to control personal behaviour and even when the American state was well established there remained a tradition that government should interfere as little as possible with personal freedom, a tradition which still exists, as in the possession of guns. When the United States was established, it was in a milieu of personal freedom, in the absence of a well structured law and order system, and the gradual waning of the original pioneering spirit of sacrifice and high-minded morality. The lack of personal responsibility has contributed to the form of democracy which has evolved in America, a form of democracy which may be changing the ethos of Europe and the rest of the world. Whether democracy has the seeds of its own destruction is a moot point but what is the alternative? A benign dictator is virtually a contradiction in terms, if only because absolute power corrupts absolutely. Paine was a fierce critic of monarchic government and aristocratic privilege as it existed up to the end of the 18th century. He deplored the exclusion of the ordinary people from political influence. He could see the virtues of popular power in the Netherlands and Switzerland in his own time and, as is so evident in the second part of his Rights of Man. He advocated many important social changes in society which foreshadowed the social benefits which are available to every citizen in western democracies to-day. His was a powerful influence in bringing about government by the people for the people. 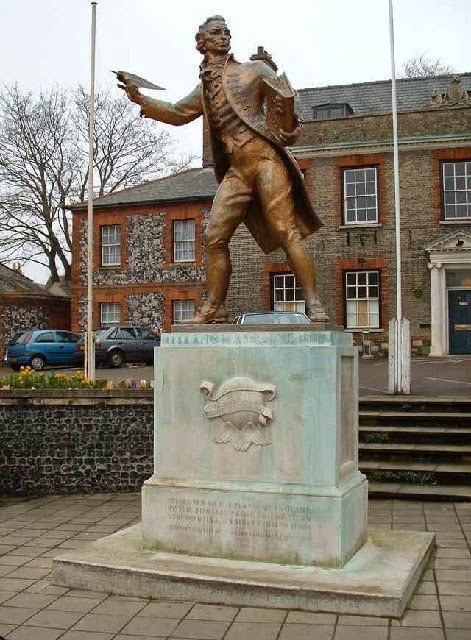 Statue of Paine in his native Norfolk. Many years later, after he returned to America to live out his life and long after the country had become independent, the remarkable part he played in the evolution of America’s history had been completely forgotten. He found himself impoverished, lonely and isolated, and only a few neighbours attended his funeral. He remained a forgotten figure for a few generations until his remarkable contribution to liberalism and to social advancement was rekindled by several biographers, the first published in 1892 and three further biographies in the latter half of the 20th Century. 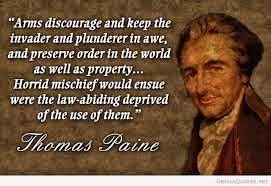 His name is now well known to historians and students of sociology, and there are active Thomas Paine societies and clubs in many parts of the western world. As his remarkable contribution to society was revived, William Cobbett arranged to have his remains removed to England for memorial re-interment. However, the final saga of his life and death ended when his remains were lost in the docks of Liverpool. He was born in 1737 and died in 1809.